When caring for your lawn, it’s important to care for your tools too. 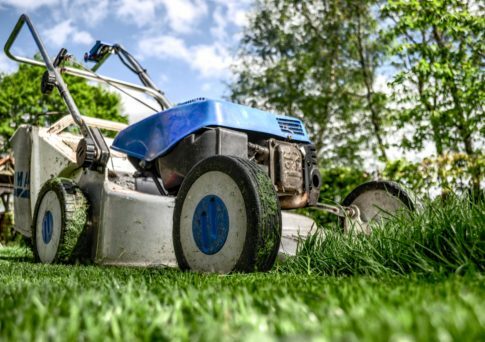 It’s a good idea to give your lawn mower a basic service each year, as maintaining your mower’s tip-top condition can significantly increase its lifespan and improve the condition of your turf too. One of the biggest issues to avoid? An oil soaked air filter! In a mower’s lifetime, it can often be difficult to avoid tipping it over to one side (or completely upside down) when carrying out routine maintenance. That’s why it is important to follow a few basic rules to ensure your lawn mower remains in good condition. Most current model lawn mowers are built with four-stroke engines, meaning that you add oil to a sump, rather than adding oil to the fuel. As if the case with most of your backyard mechanical tools, oil will need to be replaced each year. Oil removal kits are readily available at all good hardware stores; therefore, you get complete your own DIY maintenance in no time and with ease. Generally speaking, if you do need to tip your mower up for maintenance, it’s typically best to do so with the spark-plug-side facing up to lessen the chance of fuel getting into the cylinder or air filter. As an extra precaution, it is recommended to loosen the spark plug lead to avoid the possibility of the mower starting. Try to limit the amount you need to tip-up the lawn mower so you can comfortably work on/clean the underside without spilling any oil. While you’ve got your mower tipped up, take advantage of this opportunity to also change the air filter. This allows the engine on your lawn mower to breathe properly. You could also replace the spark plug and check, sharpen, or replace the mower’s blades. Regular lawn mower maintenance will keep your mower at peak performance (and ensure your grass is well cared for too).